Slow cooker pulled pork is an easy way to make dinner options for the week. I like to make this and use it for pulled pork sandwiches, pork tacos and more! Add 1 tablespoon of olive oil to the bottom of your slow cooker. 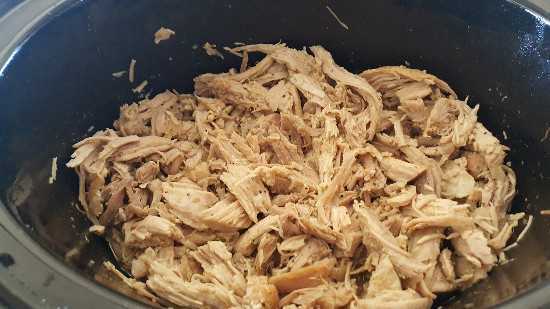 Place pork shoulder into your slow cooker, add all ingredients above and cook on low for 5 hours from frozen state. 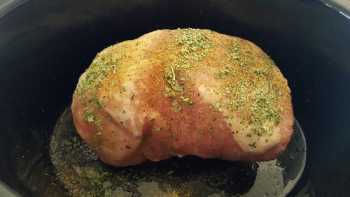 If your pork shoulder is not frozen, reduce the cooking time to approx 4 hours total. Use two forks and pull the pork shoulder apart, then let cook on low for another hour, then keep warm until you are ready to use. Simple. I usually will buy a few pork shoulders and freeze them until I am ready to use them. So the directions above are for cooking from a frozen state.